Heroes of the Storm is Blizzard’s take on the MOBA genre, a game inspired by the classics, but with a twist of its own. Described as a hero brawler it emphasizes the importance of team play instead of focusing more on personal skill and individual talent. One of the most important tournaments in 2018 is the Heroes of the Storm Global Championship Mid-Season Brawl. The competition begins on June 9 and it brings the most successful HotS teams to Sweden. In April and early May, the Crucible brought together the most promising teams, as well as established Heroes of the Storm squads. The best players from the Open Division and the bottom two from the regional HGC League competed for a spot in prestigious HotS championship. The first event on its calendar is the 2018 Heroes of the Storm Global Championship Mid-Season Brawl. It wraps up the first phase of the league and sets the tables for the second half of the year. HGC Korea won the Eastern Clash, while HGC Europe prevailed in the Western Clash, so they have the right of sending an extra team to the event. This begins with the group stage that will feature 12 teams from around the world. They will compete for glory and a place in the playoffs at the Monster Energy DreamHack Studio in Stockholm, Sweden. During this stage of the competition, matches will be played in a round-robin format, with a best of two series. Winners receive three points, or one point each if the series results in a draw and the top two teams from each group advance to the Upper Bracket. The teams who finish in the third and fourth place will also qualify for the playoffs, but they will play in the Lower Bracket. Group A will feature Gen. G esports, Tempo Storm, Fnatic, TheOne and Ballistix. Team Dignitas, Chall Enge, Tempest, Heroes Hearth and Method will play in Group B. These 10 teams will be joined by the additional two sent by HGC Korea and HGC Europe to complete the lineup of 12 participants. The best four will qualify for the playoffs, in the upper and lower bracket, based on their performance. 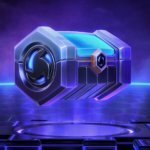 2018 Heroes of the Storm Global Championship Mid-Season Brawl is the best paying HotS competition scheduled for this summer. All participating teams will receive a share of the guaranteed prize pool, even the bottom eight ones who don’t qualify for the playoffs. Those who finish outside Top 8 receive $5000, while those who secure a placement between 6 and 8 will be awarded $10,000 for their performance. The 4 teams who make it to the playoffs will fight at the DreamHack, Elmia Convention Center in Jönköping. During this stage of the competition, matches are played in a double elimination format, in best-of-five series. Finals are best-of-five and the upper bracket team begins the series with a one-game advantage. Winners will be decided on June 18 and the first place team will receive $100,000, twice as much as the runners-up. Both the teams in the third and fourth place will receive $20,000.